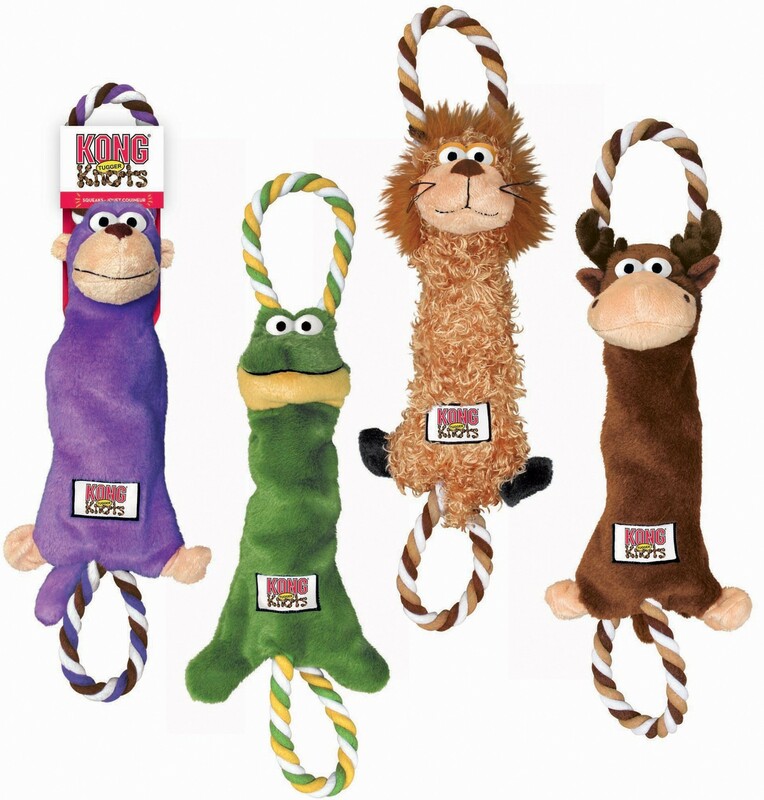 The Kong TuggerKnots are tough, interactive tug and shake toys that dogs love. 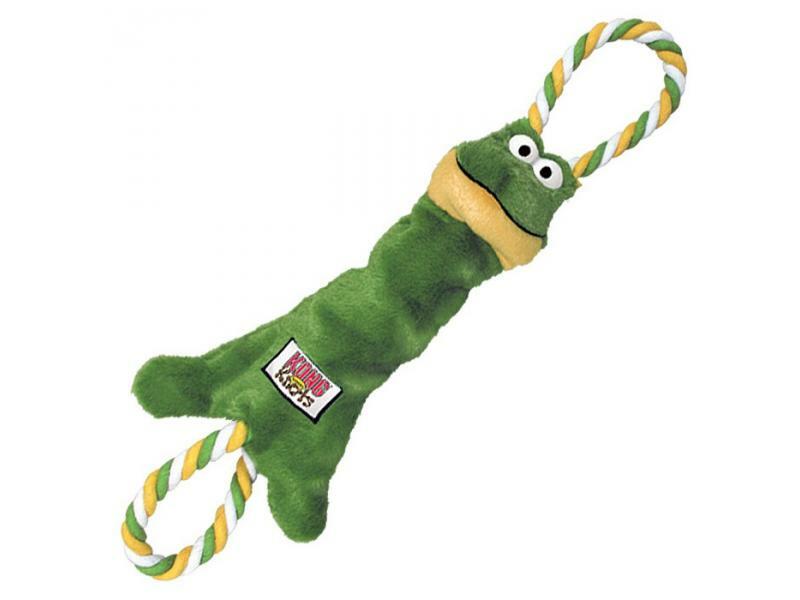 Each toy has knotted ropes inside for a realistic feel, which extend outside the toy creating tug handles at both ends. 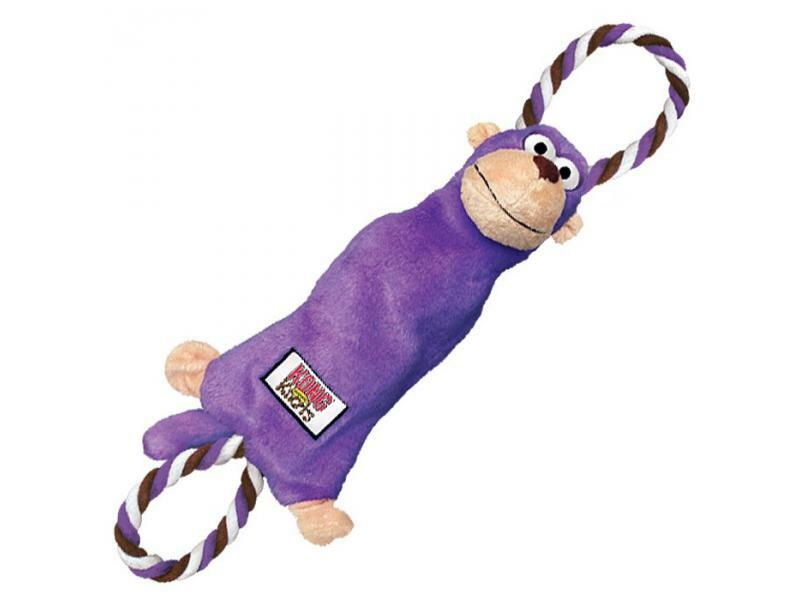 This unique design creates a captivating variety of textures and resistance that dogs love, and it contains a squeaker for added fun. They each have minimal amount of filling to guarantee less mess. 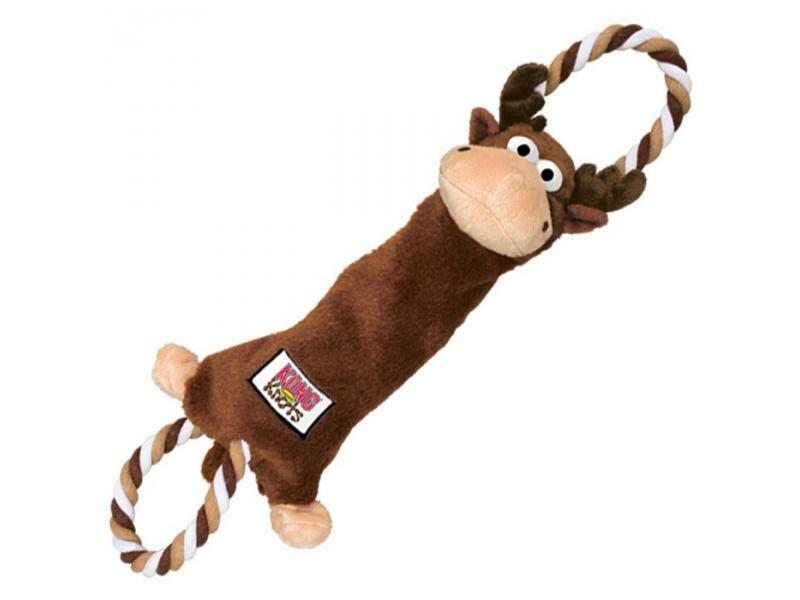 Below are some recent questions we've received regarding Kong TuggerKnots Dog Toy, including answers from our team. How many centimetres is the medium/large please?